Prime Minister, Narendra Modi suggested soft drink makers like Pepsi to try and mix aerated drinks with 5 per cent fruit juice to help distressed farmers find a new market for their produce, according to a PTI report. "We drink Pepsi, Coca-Cola and I do not know how many similar beverages are available in the market. The trade runs into billions of rupees. I have asked the companies if they can blend 5 per cent natural fruit juice in the beverages they make," Modi said after inaugurating the country's first integrated food park here. "I am not asking for much. If 5 per cent of juice from fruits produced by our farmers is added, the farmer will not be forced to search for a market to sell. A single decision can ensure billions of rupees of trade," he said. Modi added that he has already asked the Central government's research bodies to work on the possibility of blending cola drinks, which are widely considered unhealthy, with natural fruit juice. By doing so, he said, farmers will not be forced to dump their produce and let it go waste because of unremunerative prices and the country can save Rs 30-40,000 crore by reducing the wastage of food products through processing. 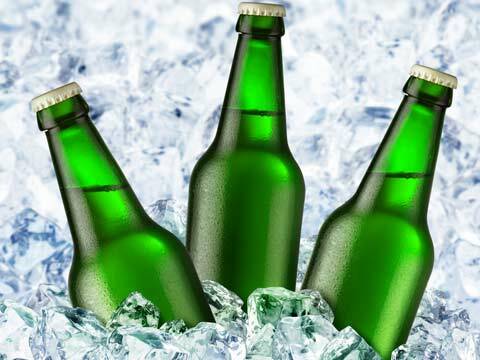 According to a report by Indian Council for Research on International Economic Relations, released last December, the consumption of non-alcoholic beverages is expected to increase by 16.5-19 per cent over the next three years in the country. Further the report says, corporate manufacturers of non-alcoholic beverages are expected to grow at an annual rate of 16.5 per cent and non-corporate manufacturers at 19 per cent. The estimates are based on an assumed gross domestic product growth of 7 per cent, which is much higher than the 5 per cent growth several economists have forecast. The country's beverage market is largely unorganised, with nearly 75 per cent of the demand serviced by companies in the unorganised sector. In his 20-minute speech, Modi stressed on the importance of proper storage, processing and value additions, which will be done at the park. He also underscored the need for adopting more scientific methods of farming.